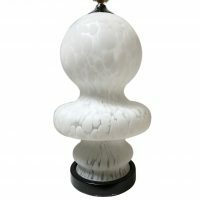 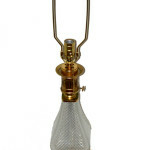 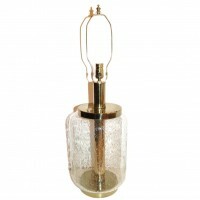 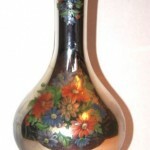 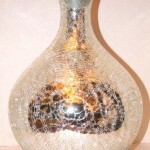 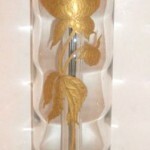 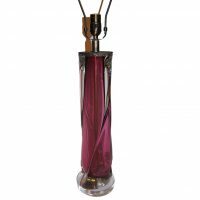 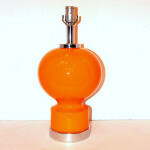 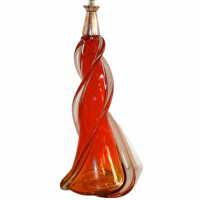 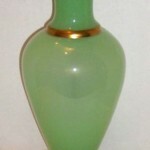 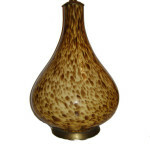 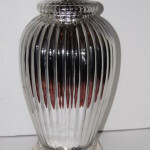 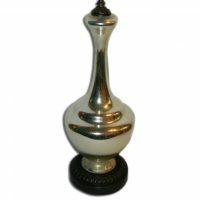 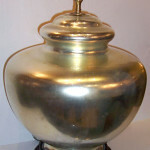 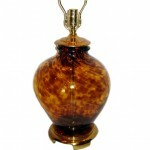 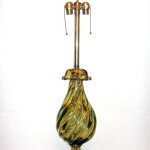 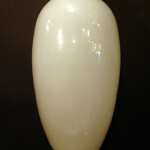 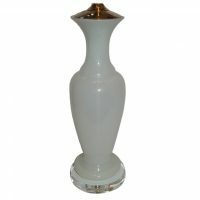 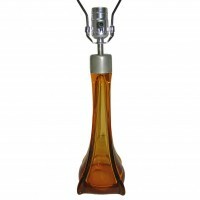 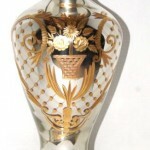 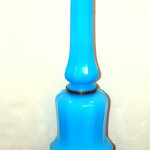 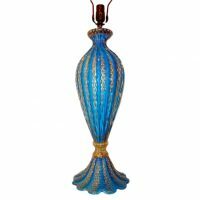 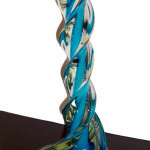 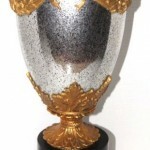 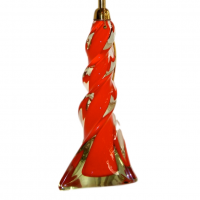 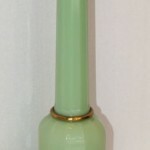 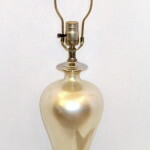 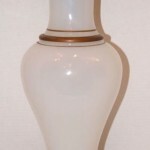 A single 1960's Murano glass table lamp. 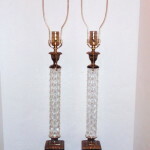 Height to shade rest: 25"
Measurements: Height of Body: 19.5" Height to Shade Rest: 28"
Pair of late 1940's Italian ribbed glass table lamps with bronze bases. 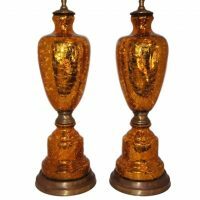 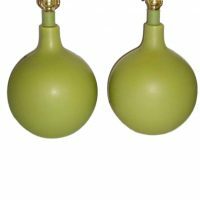 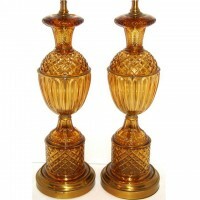 Measurements: Height of Body: 21" Height to Shade Rest: 30.5"
Pair of 1940s French molded glass table lamps with gilt brass bases. 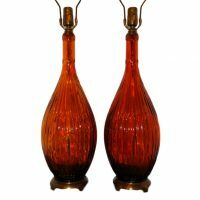 Measurements Height of body: 21" Height to shade rest: 33"
A pair of circa 1940's Italian hand-blown and tinted glass table lamps with gold dust in the neck. 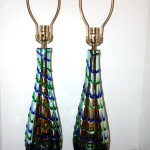 One is slightly taller than the other. 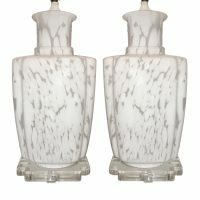 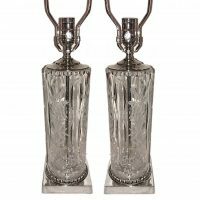 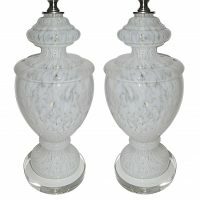 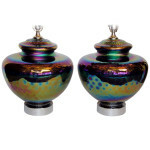 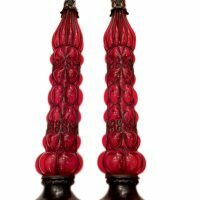 Measurements: Height: 20.5"
A pair of Italian circa 1920's mercury amethyst glass table lamps. 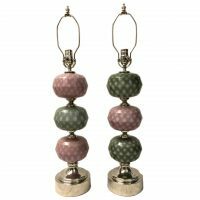 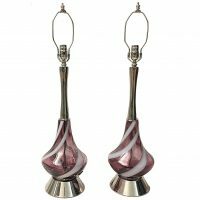 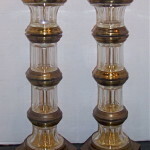 Measurements Height of body: 11"
Pair of 1960's ribbon amethyst and white Venetian glass table lamps with brass bases. 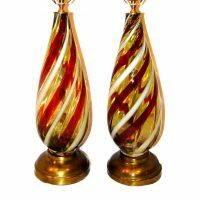 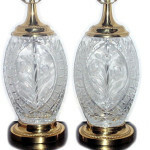 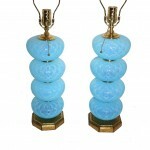 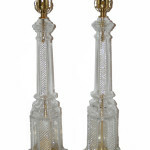 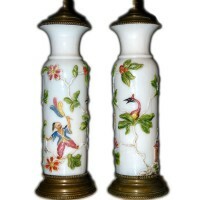 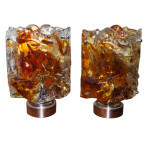 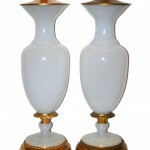 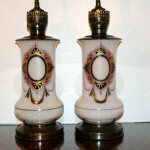 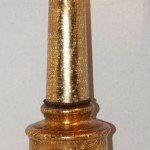 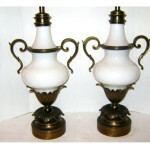 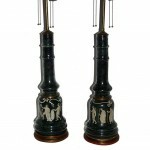 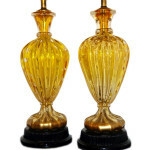 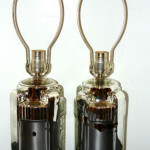 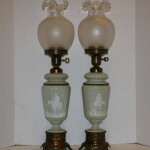 Pair of late 1940's Murano glass table lamps with gilt bases, original patina. 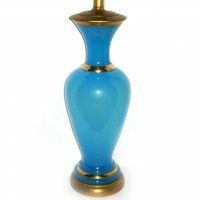 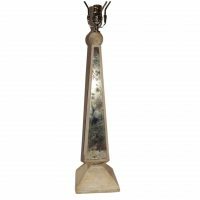 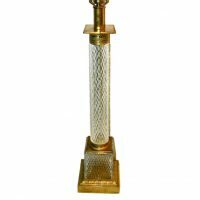 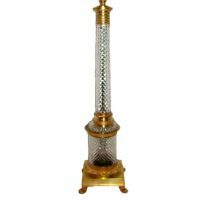 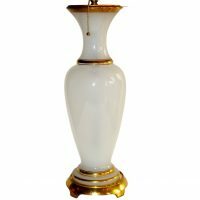 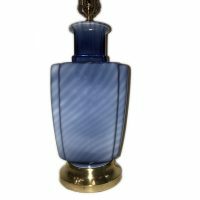 Measurements: Height of Body: 17.5"
A circa 1920s French light blue opaline table lamp with gilt details on body. 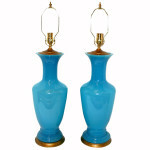 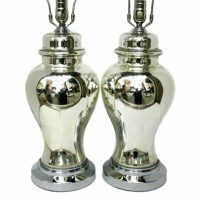 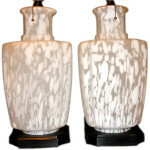 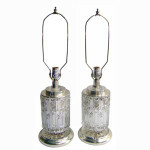 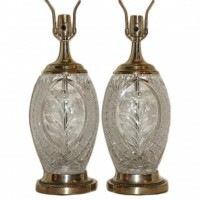 Measurements height of body: 22"
A pair of circa 1920s French mercury glass table lamps with metal bases. 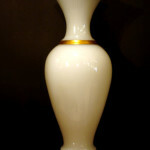 Measurements Height of Body: 17.5"
1960's murano glass table lamp. 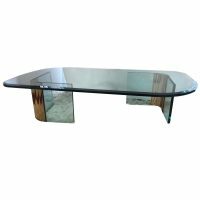 Height to shade rest: 29"
A circa 1960's French gilt bronze coffee table with original glass top. 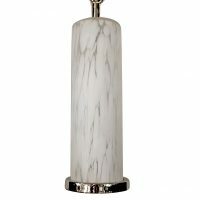 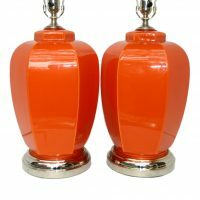 Measurements: Length : 59.75" Depth: 30" Height: 15.75"
A pair of 1960's Italian chrome and iridescent glass moderne table lamps. 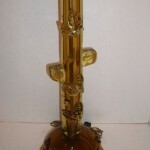 Measurements: Height of body: 26"